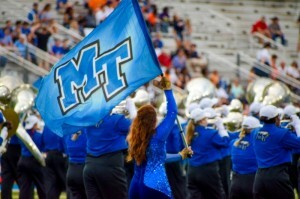 Bowl eligibility was reached in sweet fashion for Middle Tennessee Friday night. 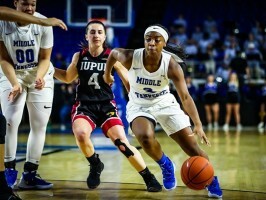 The Blue Raiders (6-3, 5-1) snapped a three-game losing streak to its biggest rival WKU (1-8, 0-5) and took a 35-32-1 all-time lead in the 100 Miles of Hate rivalry with a 29-10 win. 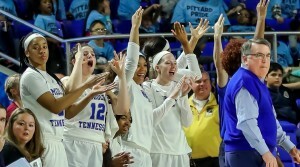 "This was a good win for us," MT Head Coach Rick Stockstill said. "I thought we had a great week of practice ... and we came out focused and executed well. "Really proud of our team - I thought we were really good in all three phases." 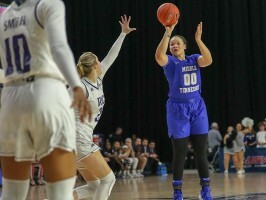 Middle Tennessee's defense was hot going into the game, forcing 12 turnovers in its last five games that lead to a 4-1 record in that span. 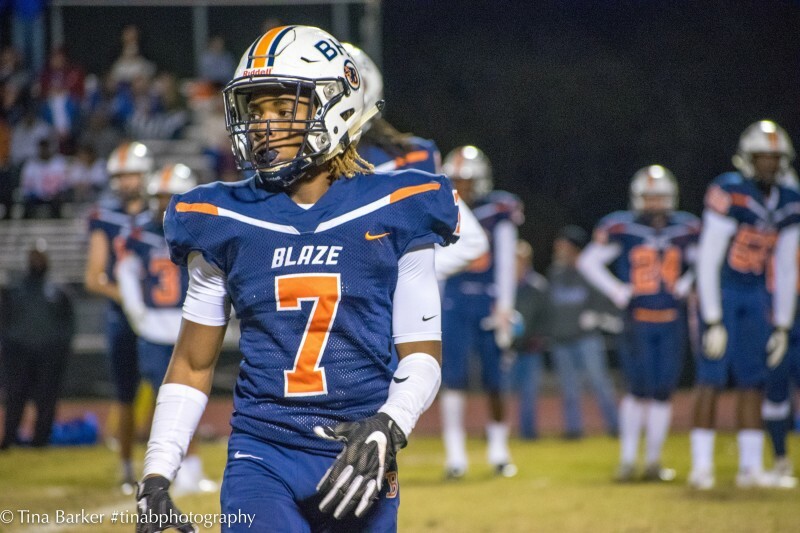 The Blue Raider stop squad kept its fiery play going under the Friday night lights. The Hilltoppers managed 379 total yards, including only 109 on the ground, and MT forced two turnovers to go with two sacks. Maybe the best defensive stat Middle Tennessee had was limiting the Toppers to a 4-for-16 mark on third down. The Raiders went into the game allowing opponents a 50.4 percent third-down conversion rate to rank last in Conference USA. "We take pride in running to the ball," sophomore safety Reed Blankenship said. "If we're hitting one guy, we need multiple people hitting him. We take pride in getting multiple people to the ball every time." With its defense doing its thing, Middle Tennessee's offense went to work, setting a new season high for rushing yards (246) for the second straight week. The Blue Raiders scored on their first drive, a 43-yard pass from redshirt senior quarterback Brent Stockstill to junior wideout Ty Lee, to open the scoring just under a minute and a half into the contest. Field goals from both teams made the score 10-3 at the end of the first quarter, and that's as close as the Hilltoppers would get. Two more Crews Holt field goals and a 5-yard receiving score from freshman Zack Dobson, his first career TD, led to a 16-0 MT run going deep into the third quarter, when WKU added a 46-yard passing touchdown. 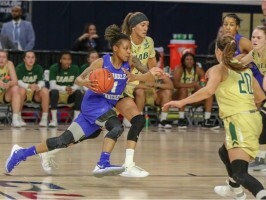 Dobson and former Fulton High School (Knoxville, Tennessee) teammate Chaton Mobley led the way offensively for Middle Tennessee. Mobley, a redshirt freshman, set a career and team season high with 198 rushing yards on 25 attempts, and Dobson had 49 rushing and 19 receiving yards with the TD. "I just know I work every day to get better and better," Mobley said. 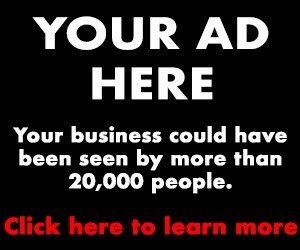 "I knew I would get my chance, and I just took the reins. "[Dobson and I] talk about it every day about when we both get out there making the best of it, and that's what we did." Brent Stockstill finished 24-of-42 passing for 228 yards and two TDs, and his favorite targets were Lee with five catches for 81 yards and a score and senior Patrick Smith with eight receptions for 80 yards. Holt was a perfect five-for-five on field goals, tying the school single-game record for makes, hitting from 42, 39, 23, 28 and 30 yards. Blankenship, the reigning Bronko Nagurski National Defensive Player of the Week, led the way on defense with eight tackles and an interception. Redshirt senior Jahmal Jones and redshirt junior Tyshun Render had one sack apiece. The win was crucial for Middle Tennessee's conference title hopes as it tries to keep place with current C-USA East Division leader FIU. The Panthers (6-2, 4-0) beat the Blue Raiders 24-21 on Oct. 13 and went into the week leading the division race by half a game. "We're bowl eligible, but I told our team that's not the final objective, that's not what we're here for," Rick Stockstill said. "We kept ourselves in the hunt for another week." 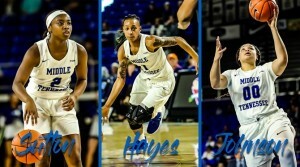 The blue and white will look to push their winning streak to four at UTEP (0-8, 0-4) on Nov. 10.